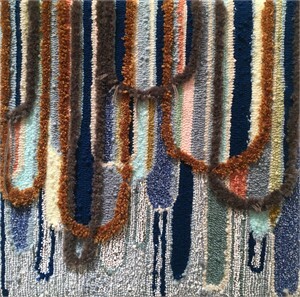 As an interdisciplinary artist born and raised in Dalton, Georgia "The Carpet Capital of the World”, Trish Andersen's initial attraction to the process of tufting was a means to reconnect with and explore her roots. 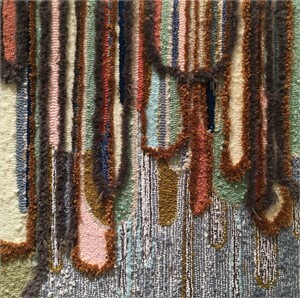 Years after attending the Savannah College of Art and Design where she graduated with a BFA in Fibers, and moving on to live and work in Brooklyn, New York, she began using tufting as a medium for art making. 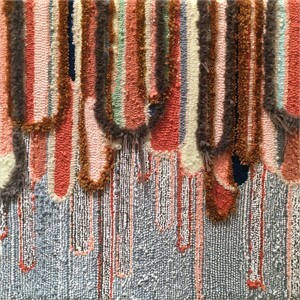 This process became an examination of the notion that a thing or a way of being can run in our blood, that perhaps by observing the characteristics of personal origin and establishing commonality and community around those that reverberate in the present, one may be able to begin unearthing the elusive authentic self. Andersen currently lives and works in Savannah, Georgia.